Attached are two pictures of my as-yet incomplete mp3 player. 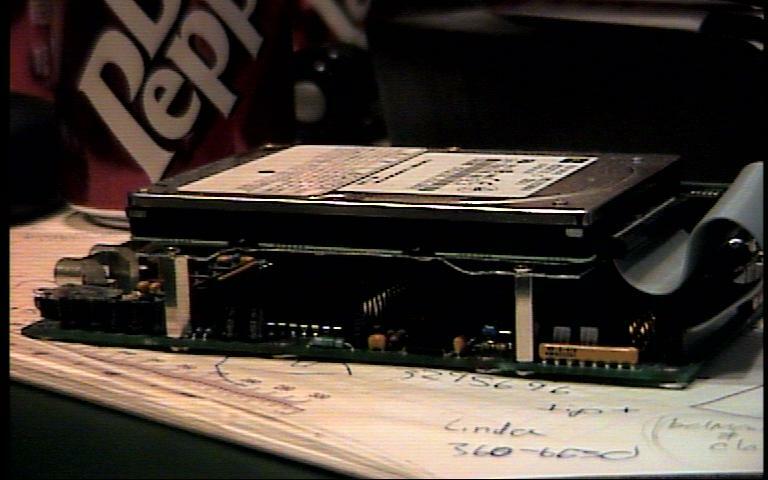 You can see that I used very tall standoffs and a pair of custom aluminum rails to mount the laptop hard drive. I happened to find the standoffs on a trip to Radio Shack. 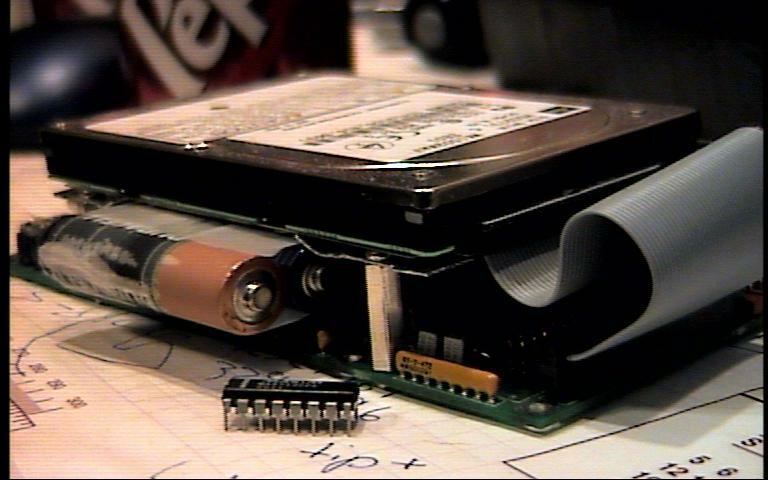 The second picture shows how a bundle of four AA batteries fits snugly underneath the drive. Right in front of the player is a Maxim chip that will control the charging electronics, which will also be small enough to fit in the leftover space underneath the drive (probably between the batteries and the ribbon cable).